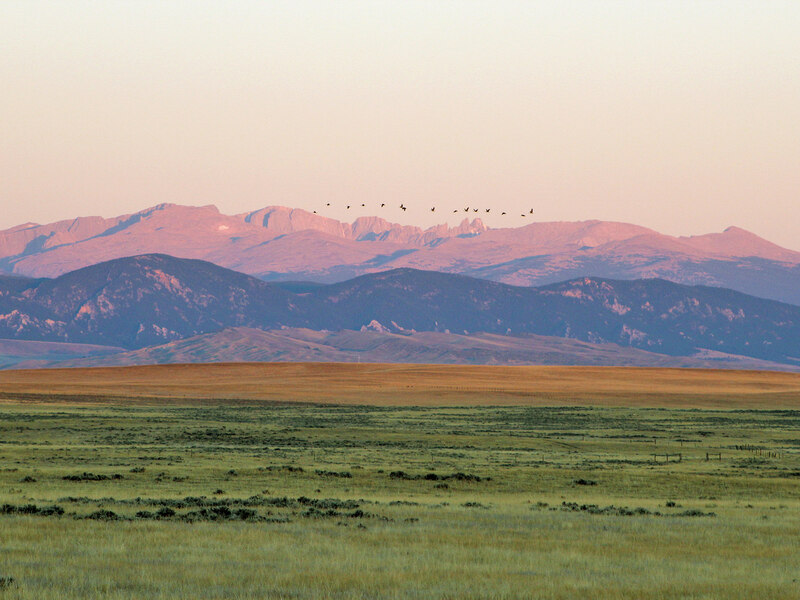 Crazy Woman Creek Ranch represents the rare opportunity to own 7,845 acres of deeded and contiguous grassland in one of the most desirable areas of Wyoming. Located approximately 12 miles directly southeast of Buffalo, Wyoming, the sprawling Ranch encompasses open spaces and rolling hills. 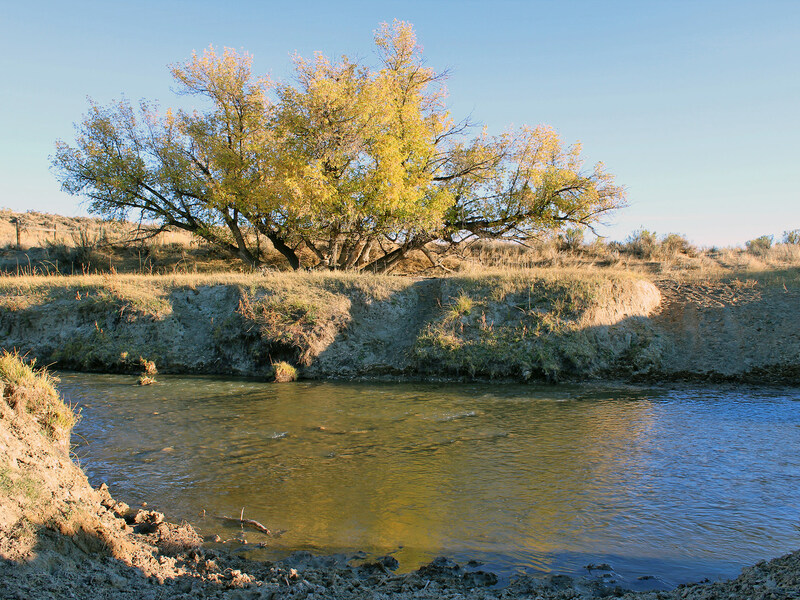 The Ranch offers excellent water resources in the form of reservoirs, wells, and live water in Crazy Woman Creek, all of which support effective utilization of the heavily sodded pastures. Directly west of the Ranch are the Crazy Woman outcroppings, standing upright along the face of the Bighorn Mountains. Behind these rugged outcroppings the mountains rise through river and valley to the grand peaks located within the Cloud Peak Wilderness area. Often, the most impressive views of the Bighorn Mountain Range are not found when in the mountains, but realized at a distance where the majestic mountain peaks, glaciers, and rock outcroppings reflect the morning light. The Ranch is well situated to enjoy the grandeur of this view. The Ranch is a solid grazing unit on 100% deeded property for an estimated 150 animal units. Private ownership provides the owner the ultimate flexibility necessary to effectively manage a livestock operation into the future. The choice of grazing the Ranch seasonally or year-round will be solely up to the discretion of the fortunate new owner. The Ranch can be accessed from Interstate 90 east of Buffalo then south on Cook Road, a graveled County Road which leads to the Ranch. Johnson County Airport (BYG), a well improved airstrip capable of handling good-sized aircraft, is located in Buffalo, Wyoming. The asphalt runway is 6143' x 75'. Buffalo also has all the essential services needed before heading to the Ranch. With a modern hospital and clinic, two grocery stores, four banks, several agricultural supply, hardware and lumber stores, a movie theatre, fine dining, and an excellent public-school system, Buffalo is able to provide all of the essentials. Sheridan, Wyoming, just north of Buffalo along the Big Horn Mountains, provides additional services including exceptional restaurants, large building-supply stores, Walmart, and a fine downtown shopping experience. Sheridan provides a great mix of history and modern conveniences. Gillette, Wyoming, east of the Ranch on Interstate 90 has commercial air service with connecting flights to several major hubs including Denver and Salt Lake City. 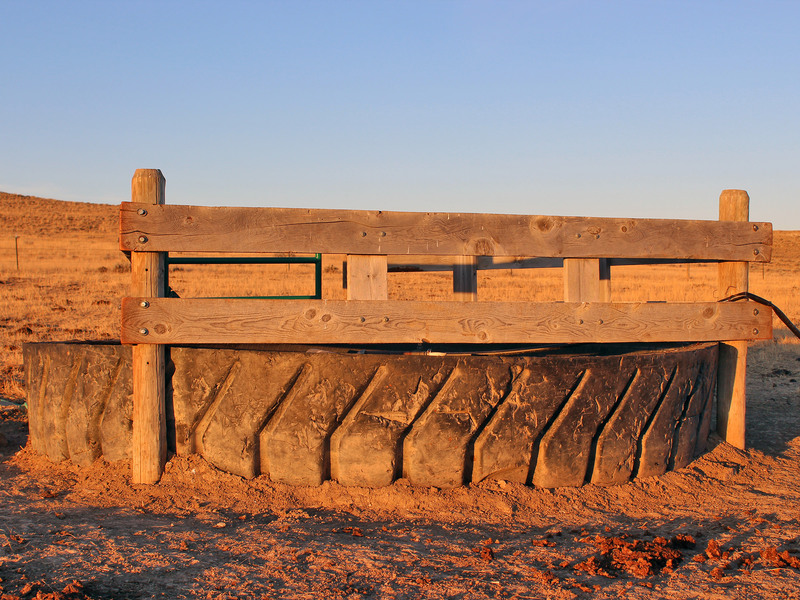 Gillette also offers additional services for building supplies and equipment to satisfy nearly all the needs on the Ranch. The Ranch is free of improvements, leaving a clean slate for the new owners to create what they deem appropriate for their operation. Aside from the fencing and stock water improvements, the Ranch is chiefly undisturbed. It is very rare to find a ranch of this size without some established headquarters. This presents the new owner the opportunity to add this to their existing operation or create a new headquarters to suit their needs. The Ranch is divided into four pastures by fences which have been well maintained. The heavily sodded pastures indicate a drought-resistant ecosystem which generates abundant hard-grass year to year. 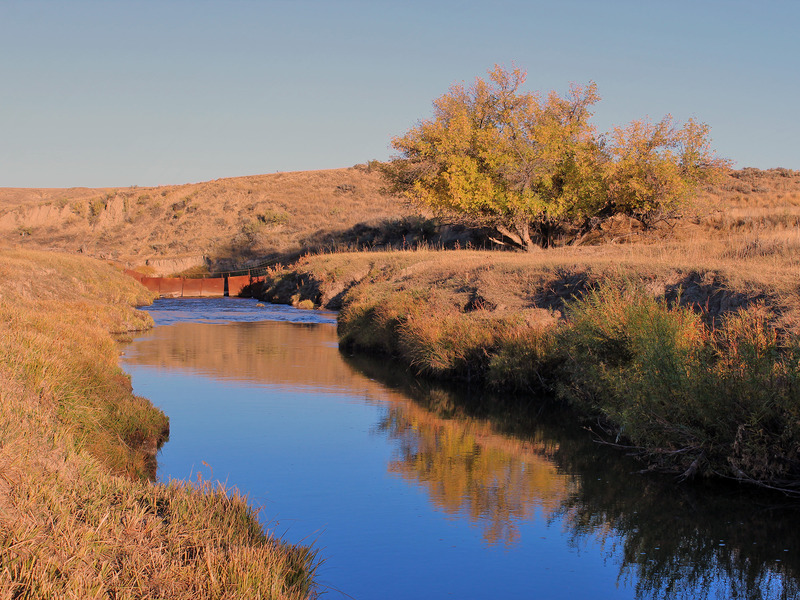 The Ranch is well watered with five wells, numerous stock reservoirs, and Crazy Woman Creek, a year-round creek intersecting the southeast portion of the Ranch. Forage utilization on the Ranch is good due to these well-dispersed stock watering locations. The carrying capacity of the Ranch is owner rated at 150 animal units. With rolling hills, good grass cover, and natural protection in the southern portion of the Ranch, the Ranch could be managed as a year-round cow/calf operation or as a seasonal grazing unit. The Ranch is currently utilized as a seasonal grazing unit as the owners have other land holdings in the vicinity. It is estimated that 300 pair could be comfortably grazed on the Ranch for six months. 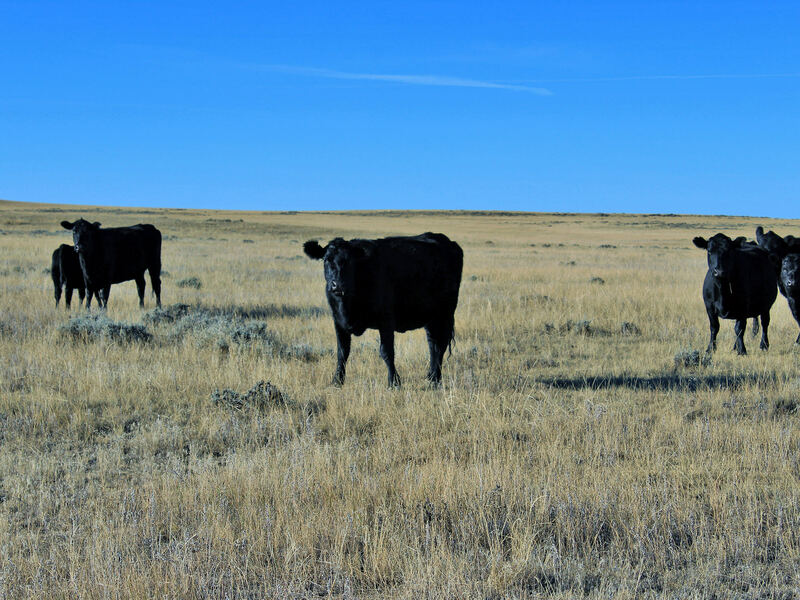 If the Ranch is utilized for yearling cattle, it is estimated that approximately 525 yearlings could be grazed for 4.5 months depending largely upon the size of the cattle being grazed. The Ranch elevation is approximately 4,500 feet above sea level. 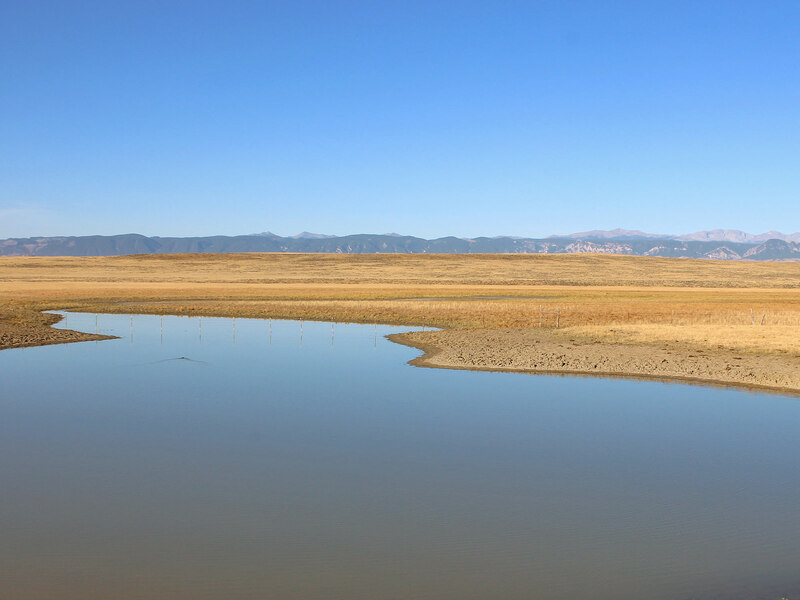 Buffalo experiences a semi-arid climate with cold, dry winters, wet springs, and hot summers. The average annual precipitation in nearby Buffalo is 13.26 inches. 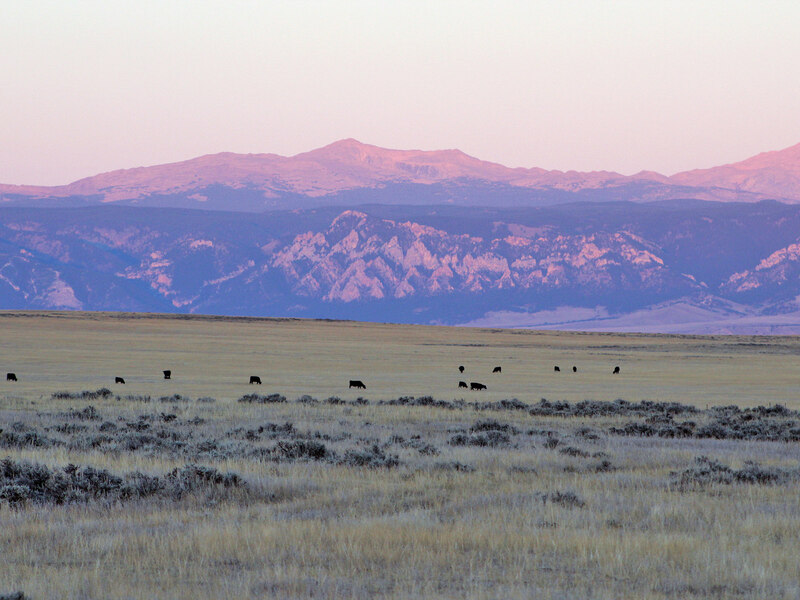 In regards to cattle ranching, Buffalo and the surrounding area can be considered one of the most desirable locations to produce cattle in Wyoming. This is due to the mild winters and wet spring weather which usually produces adequate quantity and quality of forage for livestock to utilize year round. Annual real estate taxes for this parcel are estimated by the Johnson County Assessor to be $3,790.00. Electricity services are currently not available on the Ranch. However, electricity services exist on neighboring properties and could be extended to a new location within the Ranch. Cellular coverage is excellent across the majority of the Ranch. Currently there are no building improvements on the Ranch except for a few longstanding lambing sheds located near Crazy Woman Creek. One portable propane generator and one portable solar power unit will be included in the sale of the Ranch. 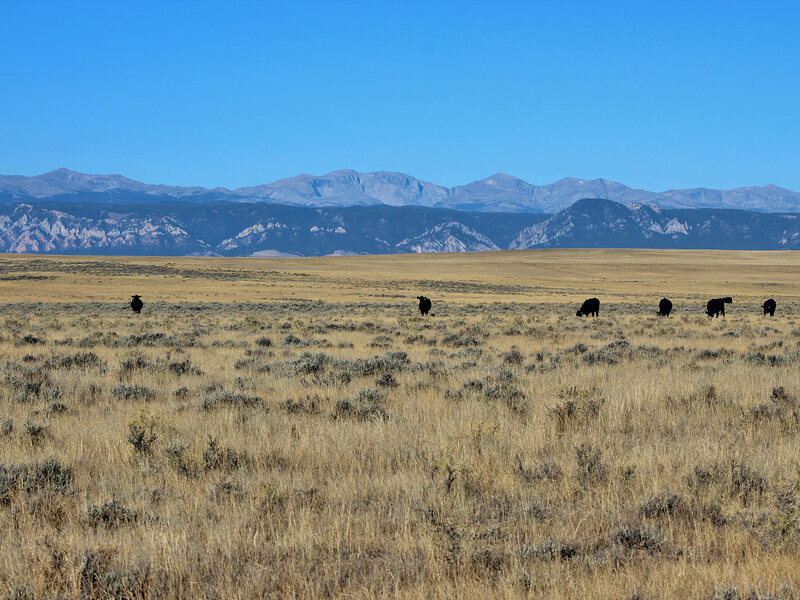 Seller reserves all mineral rights appurtenant to this Wyoming Ranch. The Ranch is home to abundant wildlife. 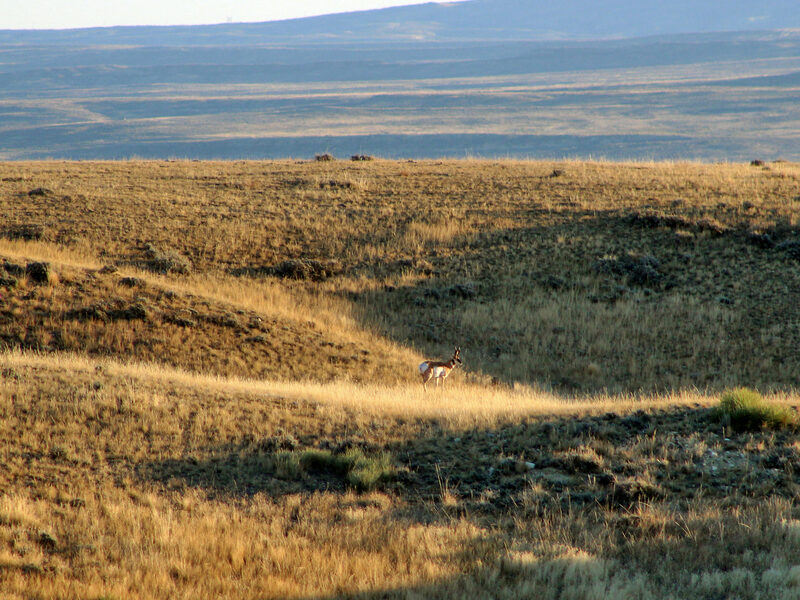 Antelope, mule deer, sharp-tailed grouse, sage grouse, Hungarian partridge and waterfowl can be found on the Ranch at various times of the year. The nearby Big Horn Mountains to the west of the Ranch are a popular destination for hiking, backpacking, fishing, hunting, horseback riding, snowmobiling and camping. The Cloud Peak Wilderness, located completely within the Big Horn National Forest, rises to an elevation of 13,167 feet. Many trail systems lead to high-mountain lakes and breathtaking views. 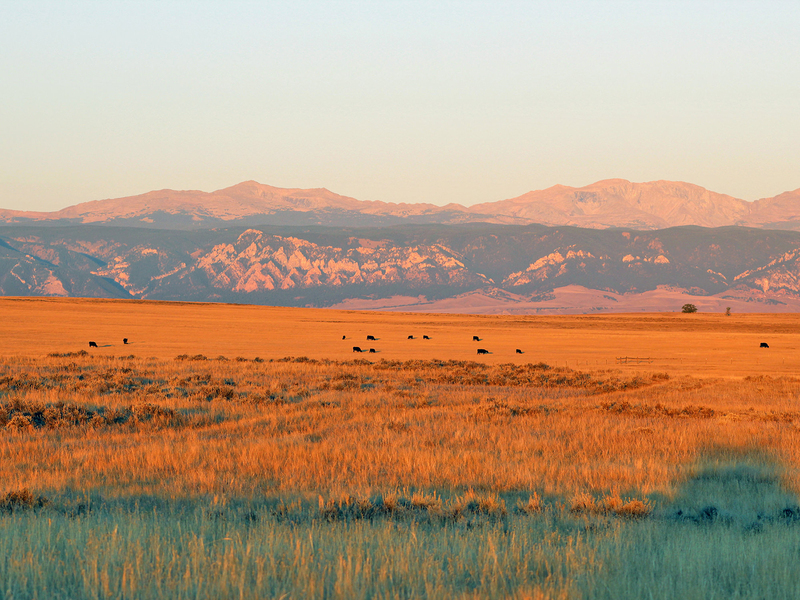 The Big Horn Mountain Range is one of Wyoming’s gems that is largely underutilized. Lake DeSmet, approximately five miles north of Buffalo, is owned by Johnson County and offers approximately 3,600 water surface acres of boating and fishing opportunities to the public. Meadowlark ski area and lodge is approximately 43 miles west of Buffalo and offers downhill skiing and snowmobiling opportunities during the winter months. The Buffalo, Wyoming area is rich in history as multiple battles took place in the region. The Johnson County War, a battle between large cattle barons and homesteaders, took place just south of Buffalo. Also just a short drive from Buffalo is the Fort Phil Kearney historic site, the Fetterman’s Massacre Site, Wagon Box Fight and the infamous “Hole in the Wall”- which was the hideout of the notorious Butch Cassidy and the Sundance Kid along with the rest of the Wild Bunch. The Jim Gatchell Museum in Buffalo is a must see with over 15,000 artifacts from the old west. The historic Bozeman Trail marked its path through the area and served as an overland route connecting the gold rush territory of Montana to the Oregon Trail. The basque culture is very rich in Johnson County. Many families in the area emigrated from the Basque country of the Pyrenees Mountains between Spain and France and made this their home. Watching over large flocks of sheep they became a cornerstone of the local culture. The area economy is driven by agricultural, tourism, and energy development. However, through the boom and bust of energy development, agriculture has remained the backbone of the local economy. Tourism remains a viable economic factor as Buffalo is located at the intersection of Interstate 90 and Interstate 25, and is a logical stopping point for visitors heading to Yellowstone National Park. As a result, Buffalo has excellent hotel amenities and restaurants. 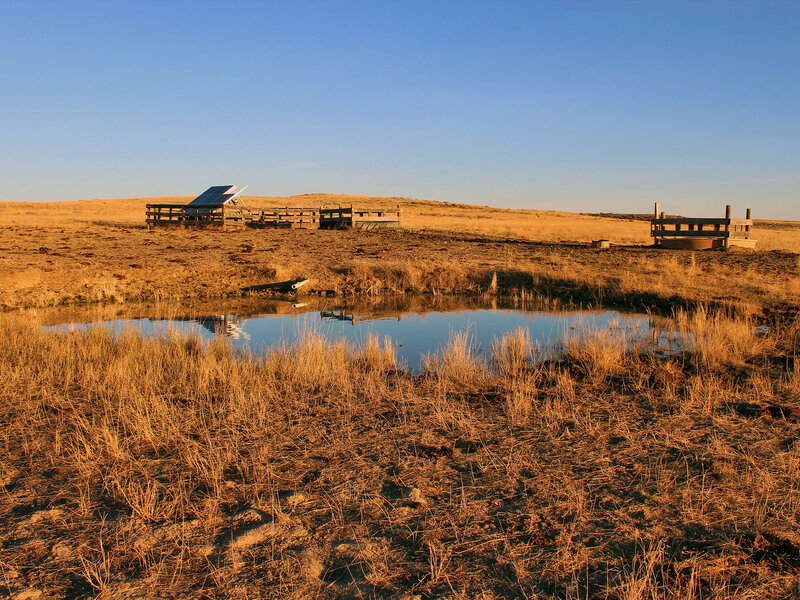 Crazy Woman Creek Ranch is a true grass ranch that is well situated in northeast Wyoming. The 7,845± deeded acres are located in a single block with easy access from Interstate 90 and a well maintained graveled road. 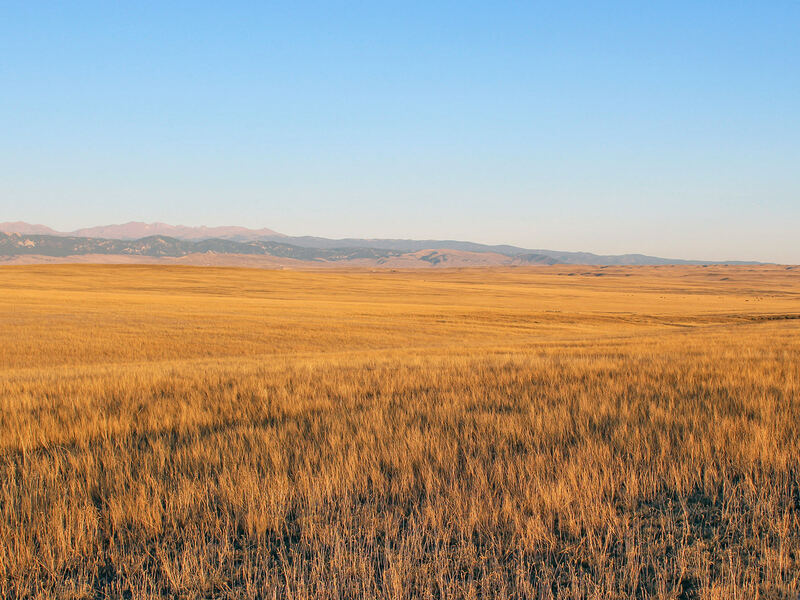 The combination of majestic views of the Big Horn Mountains, excellent grass resources, good water, well maintained fence, and natural topography present an opportunity that is rarely available in this part of Wyoming. The Ranch is a blank canvas in which a new owner can develop to suit their needs.